April 22 is Earth Day, but here at the Downtown Providence Parks Conservancy we are deciding to celebrate all month long. One of the underlying ideas of our placemaking mission is to fill a space with positive activity and make it a place the community values and takes ownership over. In order for Burnside Park to continue to be a clean and safe place for everyone to use and spend time together in, it is important for everyone in our community to get involved in its care. Here are 5 things you can do this month to help us celebrate Earth Day. Look at the pigeons and squirrels (and even hawks and owls!) but do not feed them. Unfortunately, when you feed the pigeons and squirrels, you’re also feeding the rats. You’re also making these animals dependent on humans for their food. There is plenty of food for them to eat that is easy for them to find and digest, so just watch them play instead of feeding them. Use all tobacco products outside of the park. 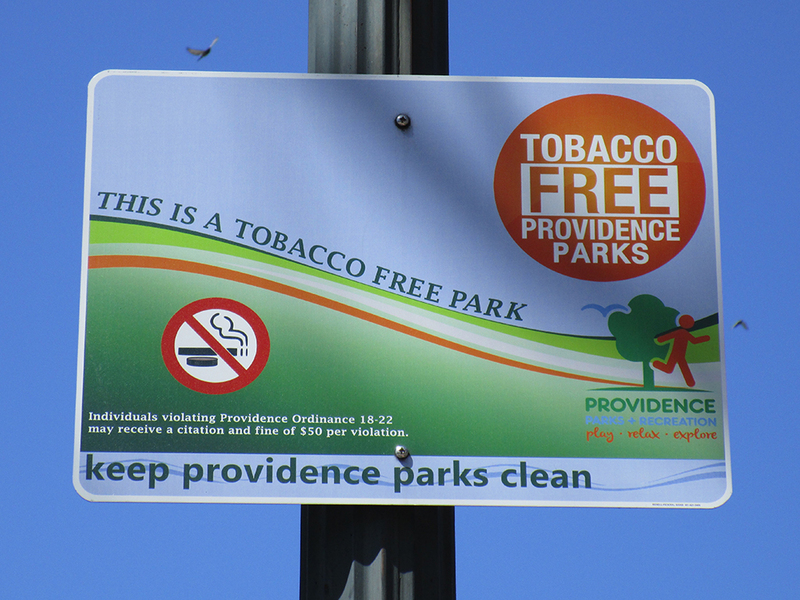 Per city ordinance all park visitors must refrain from smoking or using tobacco products while inside the park. Put litter in the proper receptacles. Burnside Park has several trash receptacles located throughout the park that are emptied by the city parks department periodically throughout the day. Do you part by not littering. Enjoy the flowers and vegetation, but do not pick them. 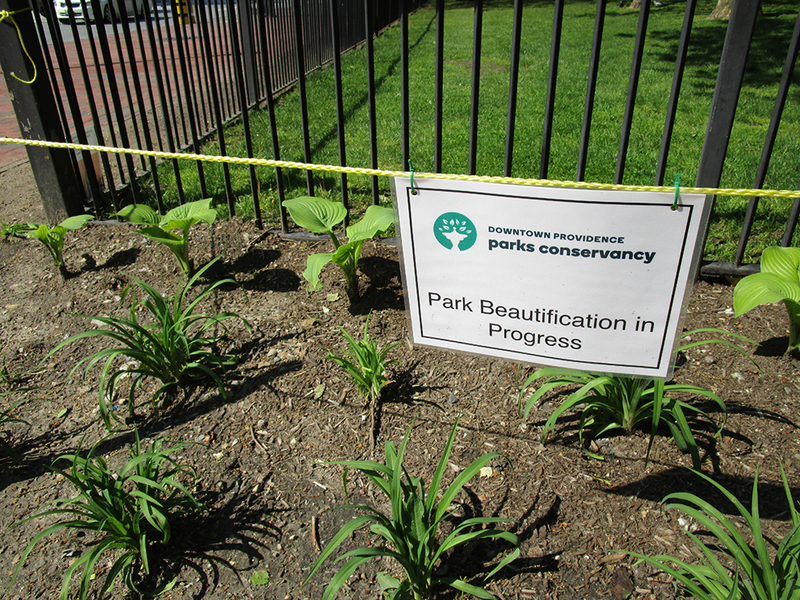 Many of the flower beds in the park have been planted by volunteer groups looking to give back to the community, as well as the team at the Providence Downtown Improvement District. Respect their work and enjoy the beautiful flowers planted for all to enjoy. Plan a volunteer event! Roll up your sleeves and get dirty by volunteering in the park. 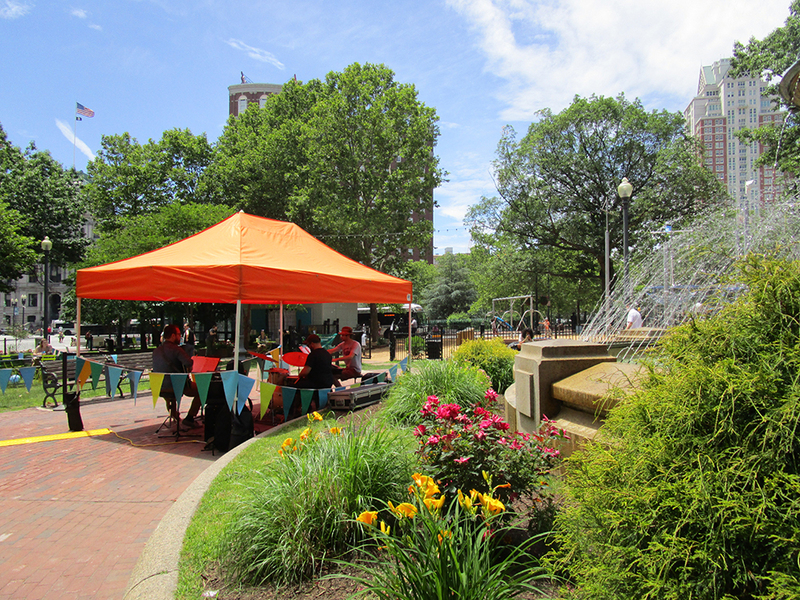 Thank you to everyone who uses Burnside Park and supports our public programming. If you would like to get more involved in the work that we’re doing, consider becoming a sponsor or making a one time donation.